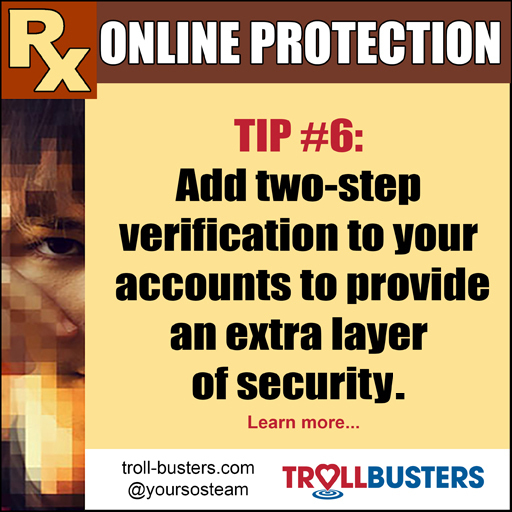 Two-step verification and two-factor authentication add an extra layer of security to accounts you access online, including email addresses and bank accounts. You enter your username and password, but before you get in, you have to enter a second factor — two hoops to jump through. The second factor you’ll need to prove your identity might be a numeric code sent to you via text message, or a code generated on a phone app like Google Authenticator. These codes may expire within a certain amount of time. Another example of a second factor is a security key such as Yubikey, a small hardware device that can be plugged into the USB port of your computer and used to secure passwords on some sites or accounts. 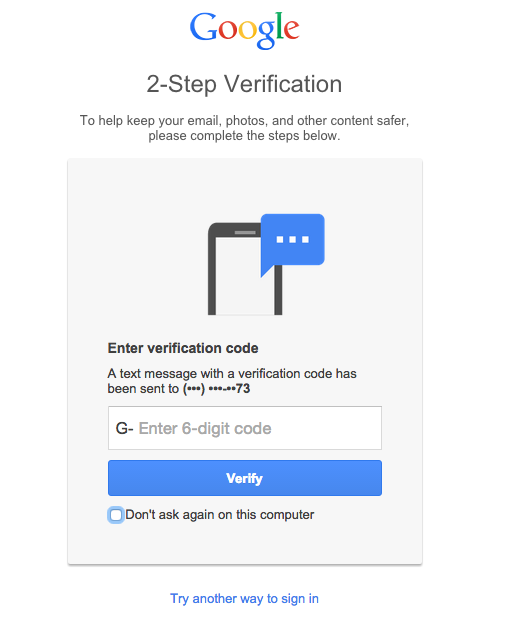 Action item: Set up two-step verification on your Gmail account, if you have one. The steps are listed here: https://www.google.com/landing/2step/. You can choose the method of the second level of identification by selecting phone calls, text messages, the Google authenticator app, or a security key. Make sure to add backup phone numbers for Google to contact you in case you lose your phone, and to print out one-time use backup codes and keep them in a safe place so you can use them if your phone is unavailable, like when you’re on a plane. Bonus: Add 2FA to other accounts you care about if it is available. Your bank, project management software, retail accounts and social media accounts are good places to start. See http://twofactorauth.org for a list. You can even add 2FA to your WordPress site with tools including Clef (freemium) or iThemes Security Pro.